1.) 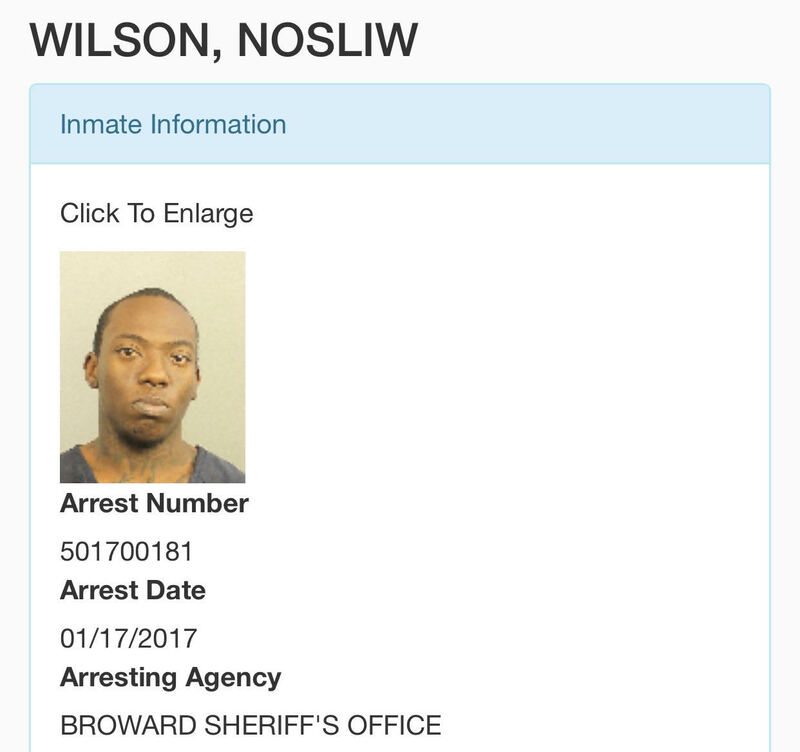 Legal name Nosliw Wilson, appearing before Egduj Judge; 2.) 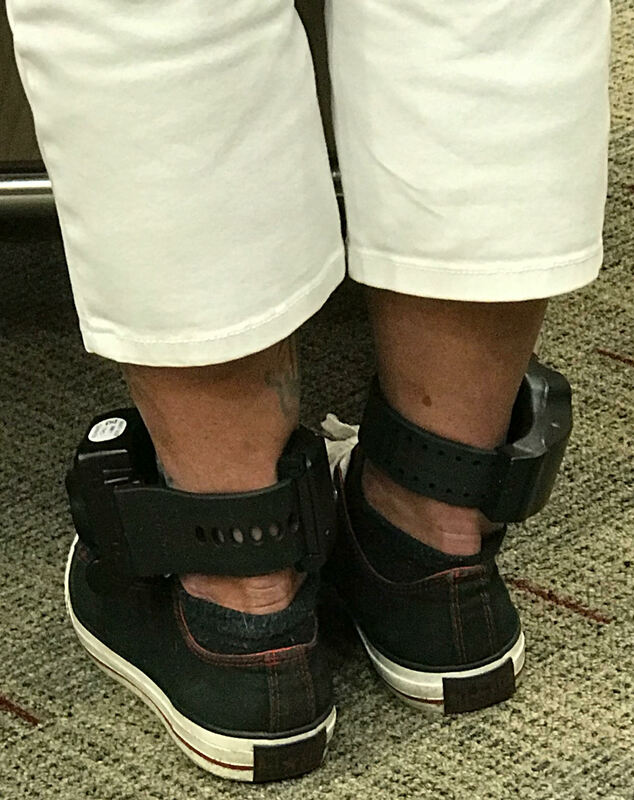 Test your criminal justice literacy: why two bands? ; 3.) 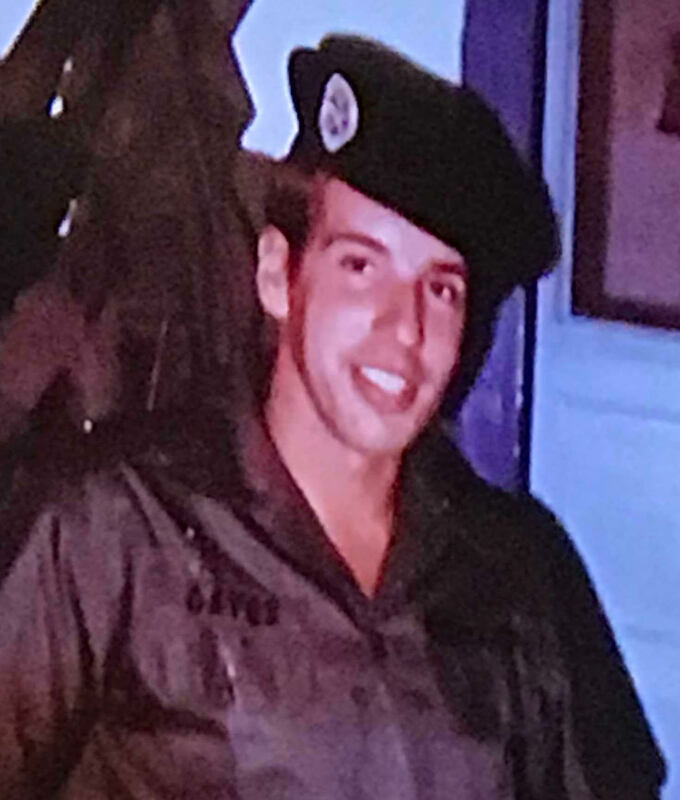 Navy Cross Recipient Michael Gates, circa 1969; 4.) Will you be my court buddy? Merrilee Ehrlich says she is staying put in the Family Division. Despite strong rumors of a transfer to Criminal to replace Bill Haury, Ehrlich just confirmed on the phone she is not moving, and definitely not resigning, as was also rumored. Was there a standoff between Ehrlich and judicial administration? Did Ehrlich threaten to quit if moved? Is it possible Ehrlich may still be targeted for a transfer? And where is Tarlika Navarro going now if Ehrlich is still in Family? Matt’s Back! Back! 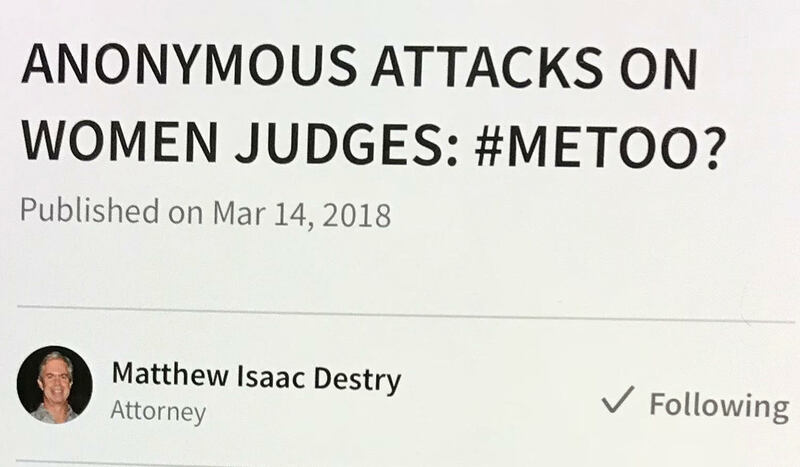 – Destry wrote a response over on LinkedIn, and since no one will ever see it there, it’s been printed in its entirety in the comments section, despite substantial inaccuracies. Destry does get one thing right, in that he certainly touched a nerve. We’re happy to take criticism and debate almost anyone, but it’s galling to be lectured about ethics by someone who stands mute instead of angrily refuting allegations that he bartered a human being’s freedom in exchange for help with his losing judicial campaign. 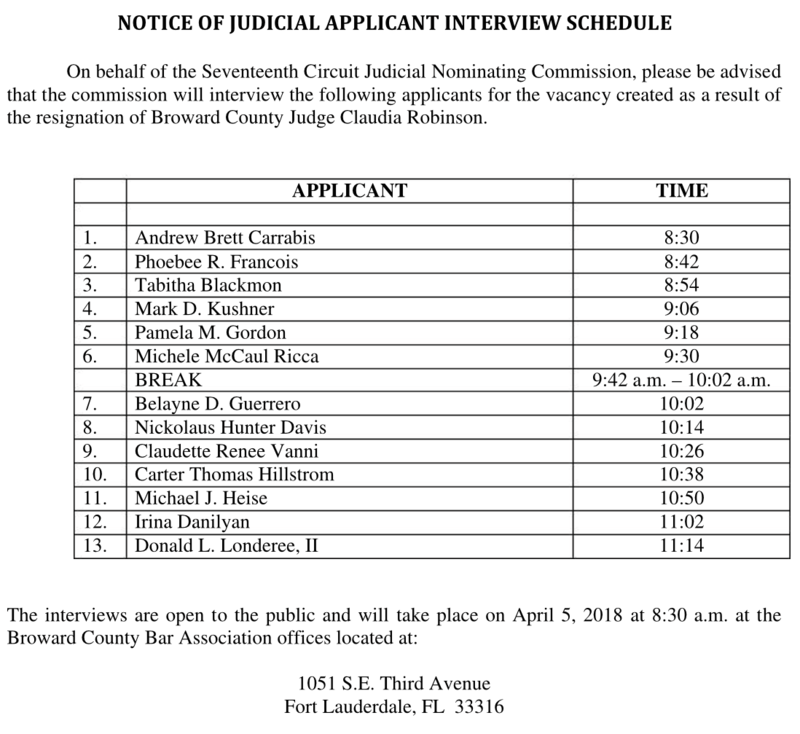 Pretty disturbing stuff even by Broward standards, and in his quest to rehabilitate his shattered reputation, or by blind conceit, he goes so far as to reference the Oath of Admission to the Florida Bar. 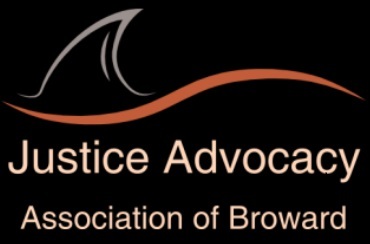 His belief that he’s the kind of person that should be upholding in others the integrity of the legal profession unfortunately says a lot about what has transpired in Broward County legal circles over the years, and ignores JAABLOG’s considerable efforts and demonstrable results in making things a little better. It shouldn’t escape anyone’s attention reading here that he’s one of the individuals now deservedly out of a job. Underneath the sour grapes, Destry makes an argument for blog moderation. Agree or disagree, but until laws change, or the Bar changes the rules of professional conduct under which JAABLOG operates, things will remain the same. Why? Because for better or worse, the blog has always been a reflection of the community it serves, and it’s now more important than ever to let the racists, misogynists, homophobes, and alt-righters have their say, lest we forget where we’ve been as a nation, or where we may be headed if we turn a blind eye. And for honest citizens or parodists with legitimate gripes who may fear retribution, the forum must remain intact. Those that seek to destroy will not dictate the terms. It’s just that simple. Sexist or Solicitous? 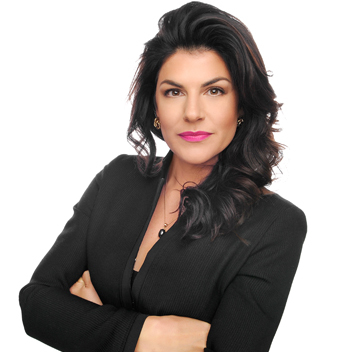 – attorneys from both the Public Defender’s Office and the State Attorney’s Office have now filed Motions To Disqualify Bobby Diaz for claims of bias against female attorneys. At issue is Diaz’s habit of calling women lawyers “Miss“, and the Esquires’ belief that Diaz’s alleged disdain for women barristers will taint the outcome of their cases. Both motions are found here. Take a moment to read, and You Make the Call!